Attending this year (Feb 27 - Mar 2): Rob Chandler. Char James-Tanny, Dana Worley. Tech lead: Paul O'Rear. There are no Keynote sessions. 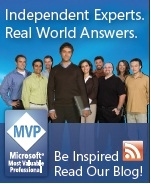 None of the main sessions mention much about the upcoming Win 8 and VS 2012. VS 11 Help - Monday morning Paul O'Rear, Malcolm Dickson Take is through the latest VS 11 help system (currently in Beta). HV2 now only touches links. Self branded help is mostly under user control. Gone are complicated transforms. Each book can now have it's own branding package. Default fall-back branding package in runtime folder. Enterprise deployment - Can define their own end point. Registry overrides to force help Offline/Online or fall back to Online/Offline. Help Ideas / Bluesky - Monday arvo Devs Ian Hollier, Gerry, Phil Black, Justin and team demo various ideas for filtering and fall back. Help API - Rob Chandler demos his code examples that exercise the HV 2 API. Windows 8 Help - Wed: Help team for Windows 8 demo Online / Offline help experience. Help experience = Less distractions. Clearer and more intuitive. Run lots of usability tests. No immersive help Experience - ie. No big Help Viewer experience with TOC Index Bookmarks etc. Most aeas of Windows have (?) icon. Contextual help. Help pane has search only. Vendors and Enterprise can add their help to single area. Metro apps also called "Modern apps". Should be designed for usability not with extensive help. Intuitive and simple. Help Content = "How do I do something" (main help content). Also "How do I fix something". Links to support or how to (no dead ends). Help should not be lengthy or detailed. Used to clarify confusing User Experience. Help can open in Metro Browser or Classic Browser (Configurable). More Video and diagrams added where applicable. Informal talk with JP on future of interfaces and help. Talk about there UX challengers and get our views on there UI ideas. Add Help only where help is needed. Girls headed home. I spend morning & Lunch talking to developers Ian and Gerry, also Jason and Malcolm. Afternoon Paul does Kiosk demos for HV 2. I talk to Bing guy about search problems for MSDN Library. Also good chat with Jeff on problems of improving help and understanding the our online data. Scoping (relationships of data graphs); Filtering (Meta data/attributes); Search (Data) - Paper in progress.